Cork is nature’s versatile treasure. It is the outer bark of the cork oak tree, grown predominately in the southern half of Portugal. Used in products ranging from engine gaskets to wine corks, cork has adapted to the worlds rapidly changing tastes and technology for over two hundred years. 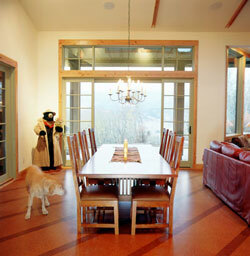 Beyond the versatility of cork, it is also one of the most environmentally sensitive materials available. This characteristic includes, not only the organic techniques used to grow the cork trees, but also the manufacturing processes, where much of the work is performed with traditional hand labor. Located in Parkesburg, Pennsylvania, Expanko goes back in tradition to 1945. We responsively serve an international market, assuring the highest quality, selection and service our customers require. We supply all types of cork products from stock or custom production.